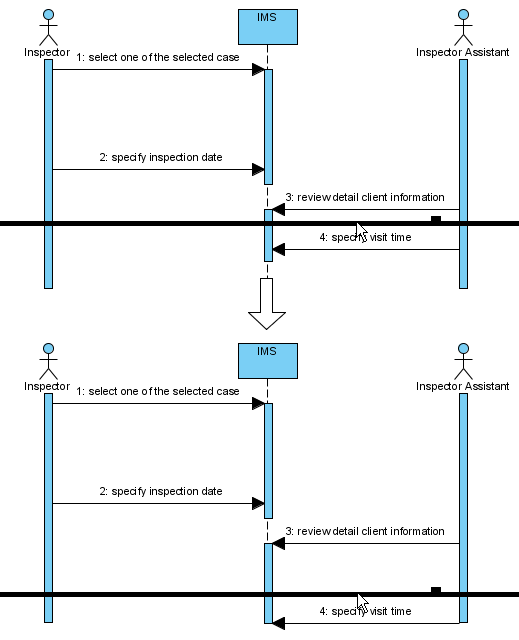 How to Draw Sequence Diagram? 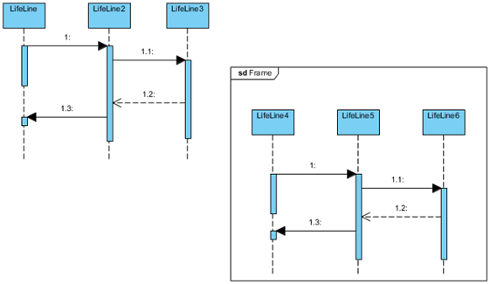 A sequence diagram is a kind of UML diagram that is used primarily to show the interactions between objects that are represented as lifelines in a sequential order. 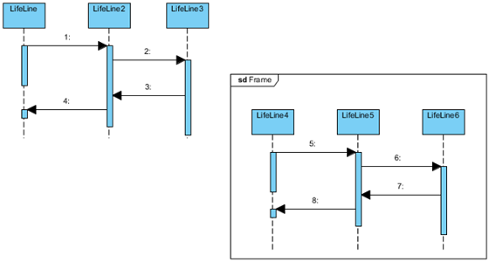 Perform the steps below to create a UML sequence diagram Visual Paradigm uml diagram tools. 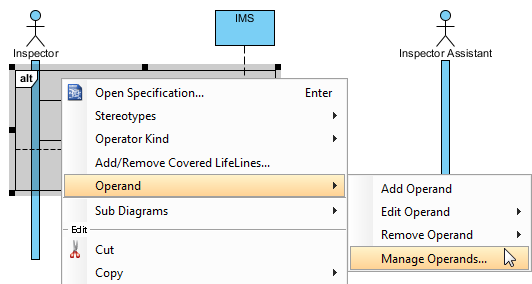 In the New Diagram window, select Sequence Diagram. To create actor, click Actor on the diagram toolbar and then click on the diagram. 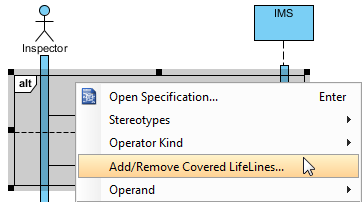 To create lifeline, you can click LifeLine on the diagram toolbar and then click on the diagram. Move your mouse pointer over the source lifeline. Release the mouse button at the place where you want the lifeline to be created. 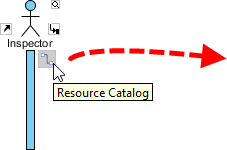 Select Message -> LifeLine from Resource Catalog. A new lifeline will be created and connected to the actor/lifeline with a message. Enter its name and press Enter to confirm editing. When create message between lifelines/actors, activation will be automatically extended. Sweeper helps you to move shapes aside to make room for new shapes or connectors. 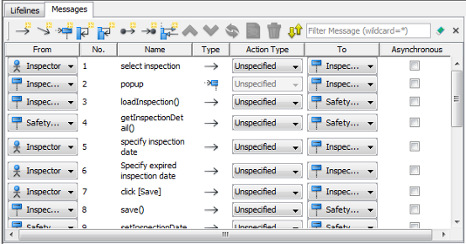 To use sweeper, click the Selector on the toolbar, then select Sweeper. 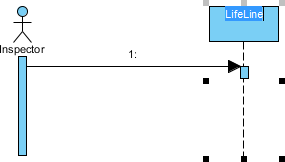 Click on empty space of the diagram and drag towards top, right, bottom or left. Shapes affected will be swept to the direction you dragged. 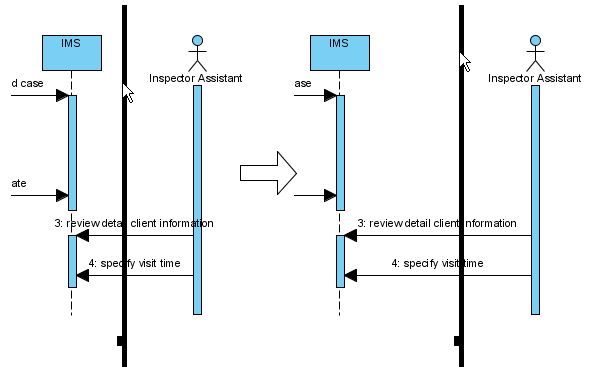 The picture below shows the actor Inspector Assistant is being swept towards right, thus new room is made for new lifelines. The picture below shows the message specify visit time is being swept downwards, thus new room is made for new messages. You can also use magnet to pull shapes together. To use magnet, click the Selector on the toolbar, then select Magnet. Click on empty space of the diagram and drag towards top, right, bottom or left. Shapes affected will be pulled to the direction you dragged. The picture below shows when drag the magnet upwards, shapes below dragged position are pulled upwards. 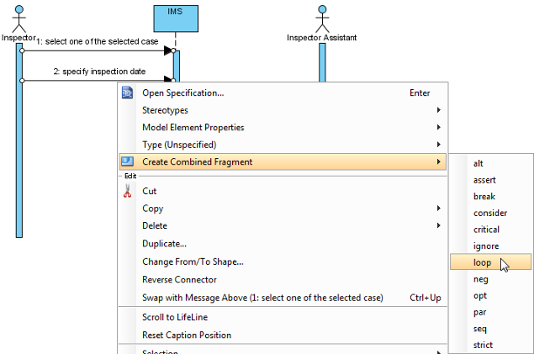 To create combined fragment to cover messages, select the messages, right-click on the selection and select Create Combined Fragment and then select a combined fragment type (e.g. loop) from the popup menu. A combined fragment of selected type will be created to cover the messages. After you've created a combined fragment on the messages, you can add or remove the covered lifelines. Move the mouse over the combined fragment and select Add/Remove Covered Lifeline... from the pop-up menu. 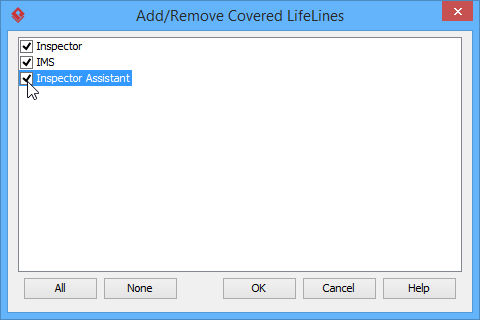 In the Add/Remove Covered Lifelines window, check the lifeline(s) you want to cover or uncheck the lifeline(s) you don't want to cover. Click OK button. As a result, the area of covered lifelines is extended or narrowed down according to your selection. After you've created a combined fragment on the messages, you can also add or remove operand(s). Move the mouse over the combined fragment and select Operand > Manage Operands... from the pop-up menu. 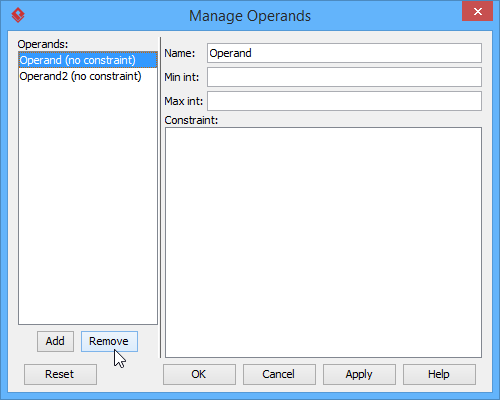 To remove an operand, select the target operand from Operands and click Remove button. Click OK button. Otherwise, click Add button to add a new operand and then name it. Click OK button. 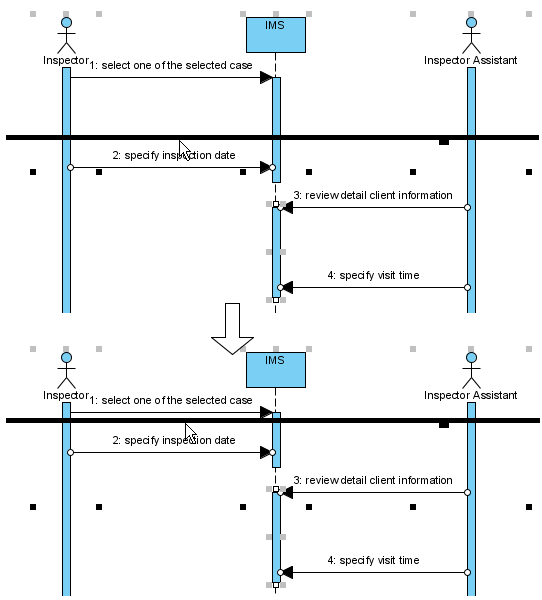 In sequence diagram, an editor appears at the bottom of diagram by default, which enables you to construct sequence diagram with the buttons there. The shortcut keys assigned to the buttons provide a way to construct diagram through keyboard. 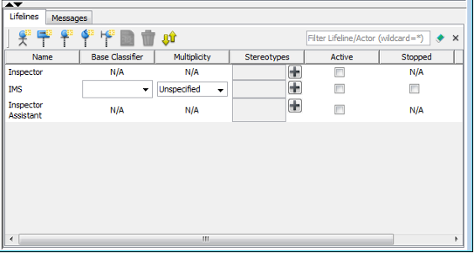 Besides constructing diagram, you can also access diagram elements listing in the editor. There are two panes, Lifelines and Messages. The Lifelines pane enables you to create different kinds of actors and lifelines. The Messages pane enables you to connect lifelines with various kinds of messages. To hide the editor, click on the down arrow button that appears at the bar on top of the quick editor. To expand, click on the up arrow button. You are able to set the way of numbering sequence messages either on diagram base or frame base. Right click on the diagram's background, select Sequence Number and then either Single Level or Nested Level from the pop-up menu. 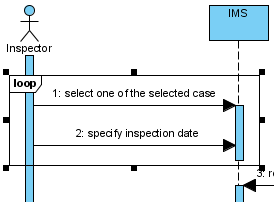 If you choose Single Level, all sequence messages will be ordered with integers on diagram base. On the other hand, if you choose Nested Level, all sequence messages will be ordered with decimal place on diagram base. Right click on the diagram's background, select Sequence Number and then either Frame-based Single Level or Frame-based Nested Level from the pop-up menu. When you set the way of numbering sequence messages on frame base, the sequence messages in frame will restart numbering sequence message since they are independent and ignore the way of numbering sequence message outside the frame.